ACSP members learning how to manage trauma on the pitch. The Australasian College of Sports Physicians (ACSP) has been holding its annual conference in Coffs Harbour, NSW. We have one more post coming from our intrepid correspondent Dr. Hamish Osborne. Yes, ‘intrepid’–as he remains on site for the end of the conference and post-conference proceedings, Cyclone Marcia approaches. Hamish, I wish we had a live feed showing the wind whipping your hair while you stand on a quay. In truth, stay safe: and we look forward already to your posts from the next ACSP meeting. As a category 5 cyclone bears down on our coast the Australasian College of Sports Physicians annual scientific conference has drawn to a close. The most fascinating talk on the final day was by A/Prof Damien Finniss from University of Sydney. He is a pain specialist with a special interest in placebo. You don’t have to deliver a placebo for placebo to be working. The social interaction of a consultation, context, cost, choice of words all have a placebo effect that overlays our intervention. This means we as clinicians are using placebo all the time in practice – wow, just now need to think a bit harder about that and how to be more efficient when using it. Not all of us have gone home from conference – 40 fellows and trainees have stayed on for a Management of Sporting Trauma course. 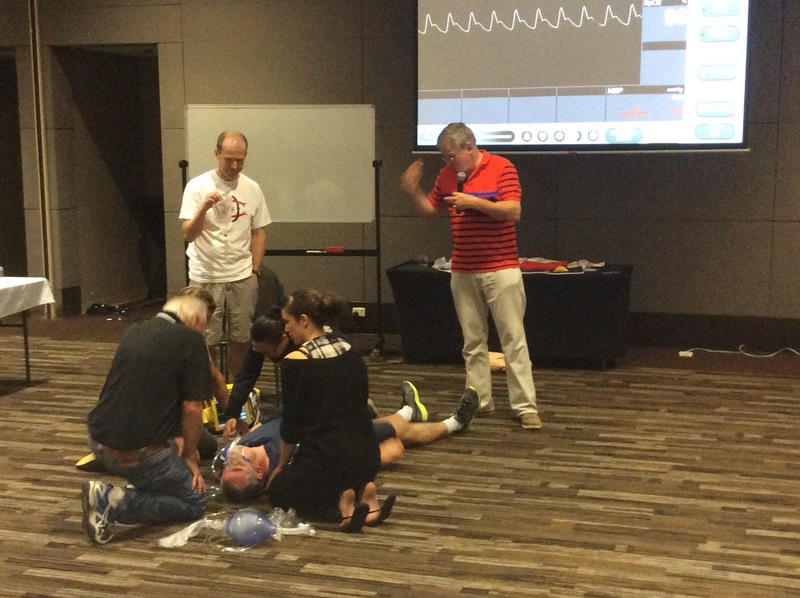 Basic and advanced life support skills and management of serious acute conditions are important skills that every sports physician hopes they never have to use on the side of a sporting field. So tomorrow we will finally wrap it all up and hopefully be out of beautiful Coffs Harbour before the storm surge and rain flood our way out. Keep an eye out on our website for next year’s conference location and dates. Remember February in Australia is (normally) warm/hot and the scenery world renowned. Would love to see you all down under next February – put it in your diary. Thanks again Hamish. And Cyclone Marcia is no figment of the imagination, for sure: get out of Coffs Harbour in one piece! To our readers, I’d encourage you to check out just one of CJSM’s offerings on the issue of placebo in sports medicine: a fine 2008 piece of original research from (fittingly) an Australian group, “Characterizing the Effectiveness of the Placebo Effect in Sports Medicine.” Listening to Dr. Finniss, reading the research, we all might just approach our next patient in a slightly different, more efficacious manner. Those of you who follow this blog likely read the most recent post, which was coming to you from Down Under courtesy of Dr. Hamish Osborne, a member of the CJSM Editorial Board. Dr. Osborne practices in Dunedin, New Zealand, and is a member of the Australasian College of Sports Physicians (ACSP), one of this journal’s partner societies. The College is having its annual conference in Coffs Harbour, NSW, and Dr. Osborne is reporting on the proceedings. Without further ado: Dr. Osborne! The morning after the night before–big celebrations last night here at the ACSP Conference at Coffs Harbour. At the annual gala dinner fellowship certificates were presented to 5 recently completed trainees. The dinner was preceded by our annual general meeting at which major constitutional overhaul has set the college up to spend a lot more of our time and effort in further developing our training, education and research programs. Celebrations for both of these occasions went deep into the evening (and perhaps for some into the small hours). 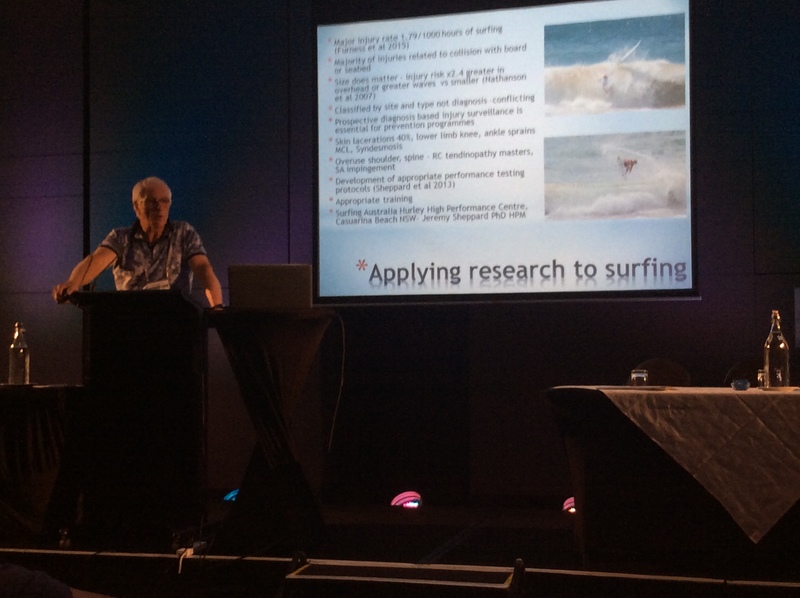 Dr Stu Watson, one of our founding members and second president of the College, gave us a very interesting presentation on the literature and science being used in one of his favourite passions – surfing. These athletes are using FIFA 11plus protocols and Olympic lifting in preparation for surfing and prevention of injuries; it’s not just about slipping on your wetsuit and hitting the lip. My favourite talk so far was by Prof. Marie Antoinette Fiatarone Singh from University of Sydney. She is a geriatrician and researcher focusing on integration of geriatric medicine, exercise and nutrition. She practices in Sydney but also has board certification in internal medicine and geriatric medicine in the USA. While we know that exercise is good for arthritic knees, pain can effectively limit the amount of walking a patient may get. Dr. Singh emphasized that we clinicians try not to get these patients to walk; rather, they should lift relatively heavy weights through a somewhat limited range of motion initially, and then they may progressively add range of motion and aerobic fitness as the increasing strength allows. It’s likely that this method is a disease modifying treatment! This afternoon we will be off to practice what we preach: a round of golf, which will have most of us exceeding our weekly required dose of walking for health. It might be the only preparation I get for the conference fun run tomorrow morning. Hopefully, my swimming fitness will translate nicely to a short run. Looking forward to the Management of Sporting Trauma (MOST) course later in the week. Watch out for my next post from there and a wrap up of the conference. Thanks Hamish! Your reporting gave me a sense of deja vu regarding another college of sport medicine: the American College of Sports Medicine (ACSM). As a Team Physician for the University of California, Santa Cruz, I once gave a talk at an annual ACSM meeting on surfing medicine; I would love to have sat in on Dr. Watson’s talk. And I am happy to say I got a chance to catch Dr. Fiatarone Singh at last year’s ACSM meeting, and I concur: she does a fabulous job discussing her years of research on the application of resistance training to the health and wellness of the elderly (and that work is frequently referenced in manuscripts in our own publication). Enjoy the proceedings (and we hope you break par)! Coffs Harbour, Australia, site of the 2015 ACSP meeting. While many of us in the Northern Hemisphere are shivering and shoveling our way through winter, members of the Australasian College of Sports Physicians (ACSP) are holding their annual meeting under a summer’s sun at the Pacific Bay Resort, Coffs Harbour, New South Wales, Australia. “Exercise is Medicine” is the theme for the five-day conference. The ACSP is one of our partner societies and this year, I regret to say, I’ll not be able to make it Down Under to catch the proceedings myself. I do, however, have a friend who is at the conference right now and has volunteered to write a post or two about what is happening in the lecture halls and on the beaches. 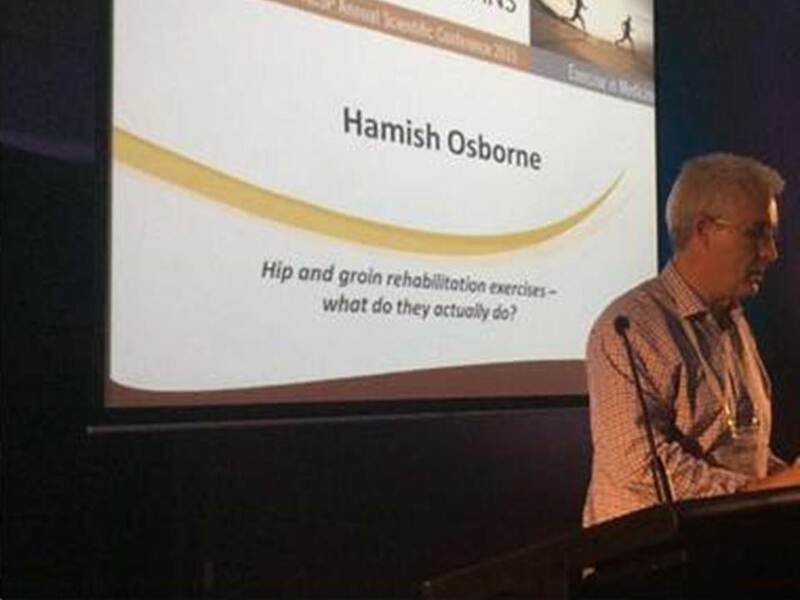 Dr Hamish Osborne, MBChB, MMedSci, FACSP is a Sport and Exercise Physician, a Senior Lecturer in Sport and Exercise Medicine, and Academic Co-ordinator for the Post Graduate Diploma in Sport and Exercise Medicine, Department of Medicine, University of Otago, Dunedin, New Zealand. I know him best as one of this journal’s Associate Editors–I saw him last at our 2014 Editorial Board meeting in Canada, and we stay in touch via conference calls and Twitter the rest of the year. The Australasian College of Sports Physicians Conference kicks off here in Coffs Harbour on Tuesday. 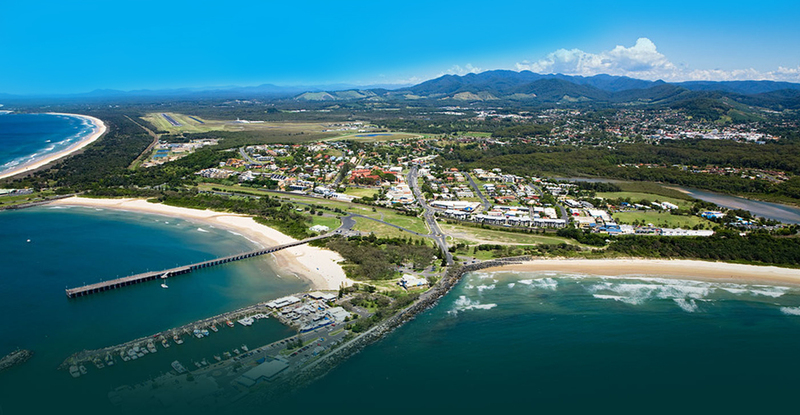 Coffs Harbour is on the Australian east coast approximately half way between Brisbane and Sydney and enjoys a beautiful coastal location with temperatures in the high 20’s predicted. I got here safely last night driving the near 400km from Brisbane and managed to avoid any Kangaroos hopping across the road around dusk. The conference is preceded by a mini conference for our trainees and is underway as I write. All trainees present their research to date from the various stages of the four years of their training. The variety of the work presented today has been fantastic. For example, while plenty of work has been published on the accuracy of ultrasound vs MRI for identifying rotator cuff tears in those having operations for their rotator cuff pain, it’s important as a clinician to know how this translates to the undifferentiated painful shoulder that walks through the clinic door: i.e. how good or bad is ultrasound vs MRI at looking at the rotator cuff if clinically I’m suspicious of the labrum being the problem? This recognizes that the history and to a greater extent examination has poor sensitivity and specificity in the undifferentiated patient and we do need to rely somewhat on the imaging. Hamish, thanks for taking the time from both the conference and the lovely beachfront of Coffs Harbour to write this post. I hope you will have the time to write another post as the proceedings wind down. And to all of you reading this, make sure to follow Dr. Osborne and the Division of SEM at Univ. of Otago on Twitter @Hamish_Osborne and @OtagoUniSEM respectively; and make sure to follow #ACSP_conf and @ACSP_SportsDocs this week!